NASA will soon set a new date for the maiden flight of its massive Space Launch System rocket, which will send the Orion spacecraft on a test flight around the Moon. Previously, this flight had been scheduled for 2018, but NASA officials acknowledged earlier this year that the launch date would slip into 2019. Now, there is the possibility of further delays, although NASA isn’t saying this publicly just yet. On Wednesday, at the Wernher von Braun Memorial Symposium in Huntsville, Alabama, a key official said that a 2019 date is still on the table because Marshall Space Flight Center expects to deliver the rocket’s core stage to the launch site in Florida by the end of 2018. Noting a recent Agency Program Management Council meeting, during which launch dates are decided, Marshall director Todd May said, “2019 is where we think we can get that done.” NASA’s acting administrator, Robert Lightfoot, should release an official launch date within the next few weeks, May added. 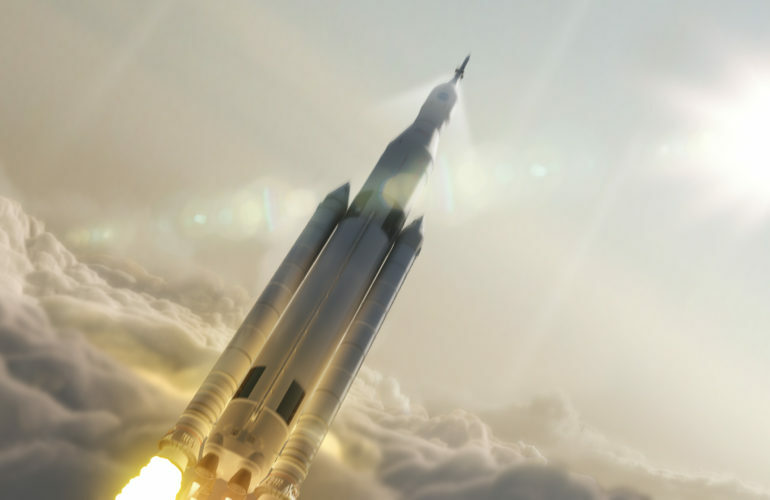 During a NASA safety meeting earlier this month, the Aerospace Safety Advisory Panel noted that there are three main items on the “critical path” before the SLS rocket can make its maiden launch. First, Marshall must deliver a fully tested core stage—the main liquid hydrogen and oxygen tanks and RS-25 rocket engines. The European Space Agency must also complete and then test the service module to power the Orion spacecraft in deep space. And much work remains to finalize and test software to manage launch systems at Kennedy Space Center. Recently, the managing editor of the NASASpaceFlight.com, Chris Bergin, suggested that NASA managers are deciding between a “best case” launch date of December 2019 for the SLS rocket and a “risk informed” date in the second quarter of 2020. Bergin is a reliable source of inside information about NASA, and sources subsequently confirmed this information to Ars. It is physically possible for NASA to make a launch date in 2019, but historically, things can (and often do) go wrong in the assembly and testing of major launch systems. While it is possible to beat the odds or resolve problems quickly, there is no guarantee that will happen between now and a 2019 launch date. The issue now confronting NASA’s acting administrator, Robert Lightfoot, is whether to set a more politically palatable launch date in 2019 knowing that it could easily slip into 2020. Moreover, should Lightfoot issue a public launch date of 2020, it would release the pressure now on NASA and its contractors, allowing managers to relax and guaranteeing an earlier date is not reached. Therefore, the smart money is on a launch date in 2019, with an eventual slip into 2020.